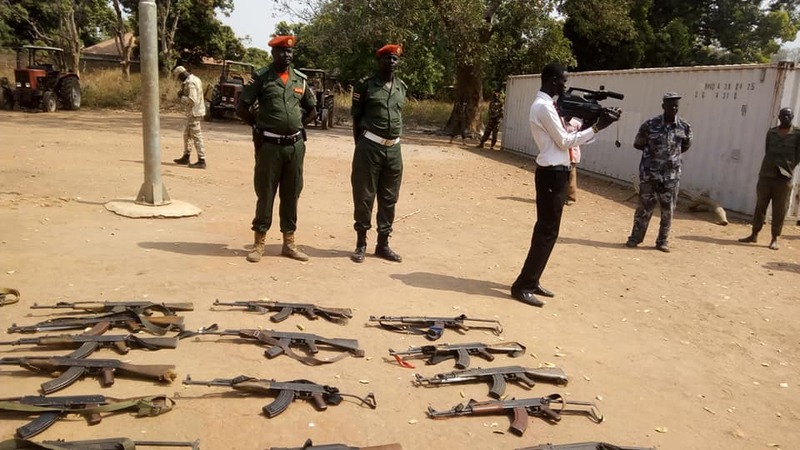 Guns taken from the hands of civilians in Eastern Lakes this year displayed in Yirol town. At least five people are reportedly been killed after armed youth locally known as Gelweng clashed over cattle in Eastern Lakes State yesterday. According to the state minister of information, the people were killed in two separate incidents, the same day. Taban Abel says the first incident took place in an area called Lowai in Alul County near Amadi State, where five youth were killed. Mr. Abel said the attack took place at La-Wai cattle camp near to Amadi State, and the situation still tense. The armed youth, Abel narrates, later ambushed an army vehicle in Yali County, killing one soldier. Authorities in Western Lakes State are yet to comment on the matter.